In the business world, second, third, fourth...generation leadership is weighty stuff. There's a cynical axiom that runs its way around cocktail talk that goes something like, "Well you know, Grampa built it..."
Everyone in earshot knows what's being said. "Grampa built it, Dad drove it but the kids wrecked it." You've heard it before, right? Anyway, typically, my artwork revolves around one person's airplane, one person's story, one person's perspective. 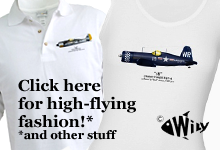 But, late this past Winter, I received the Commission to document a suite of warbirds that cover, not just a few months of service, but nearly seventy years and thousands - thousands - of people. From stick'n rudder to fly-by-wire. Legendary personalities to part-time clerks. Over the next month or so, I'll be posting elements of that project here. I hope ya'll will find them interesting - it's an American success story that is both stunning in its passing of the baton and also humbling in how they do it. And I bet you haven't heard this one before. And of course, there's a WW2 airplane wound up in it too - a black-tailed one flown by guys who wore what I believe to be one of the top-5 coolest squadron mascots ever. Done! The F-51 Joe flew while pioneering the South Dakota Air National Guard (circa 1947) is now aloft in the internet's data pool. And then, to press...but that aspect of production is not important right now. Every airplane I do embodies some single positive element. In 511417's case, it represents the word "accomplishment" and for good reason. Joe accomplished much in his life. Compared to most people, Joe's resume is so disproportionately huge, it begs the questions, "Why?" Yesterday morning, I was having coffee with a friend who - and I have to be cagey here - is very much involved in public education and the topic of predicting a student's future success came up. Like many business leaders, he believes that an organization's Culture is the greatest barometer of whether it will encourage people to greatness or failure or mediocrity. Though dichotomies are often too simplistic, the conclusion was thus: A culture either teaches that success comes or success is achieved. Or, in other words: "Build it and they will come" versus "Go out there and get it." One is more passive, the other more active. Argue the merits of both perspectives as you wish, but there's no doubt that Joe Foss achieved. He determined to be bold at whatever he did. Though some aspects came easy (audacity) and others came harder (his Faith), Joe never rested, wringing the utter life out of, well, Life. I find that kind of earnestness to be refreshing and inspirational. This in mind, I thought you'd all find Joe's perspective on his WW2 military service interesting. 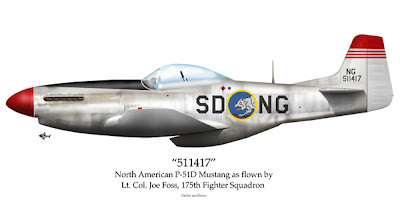 Joe Foss's F-51 is about...hmmm. I'll call it 45% complete. There's too much to improve/do that I won't list it all, but so far, so good. That all being stated, I'm surprised at the amount of interest building in this particular airplane. 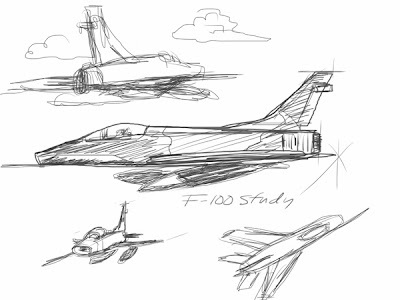 For one, it's an F-51. By the time these glorious birds got passed down the line to the South Dakota Air Guard, the Mustang's day in the sun had long set. "You've got to tell'em. If you don't, you'll leave the guy hang'n and that does ya'both no good." So I did just that. Thanks, Joe. Wherever you are, I hope you like the way this is coming along.